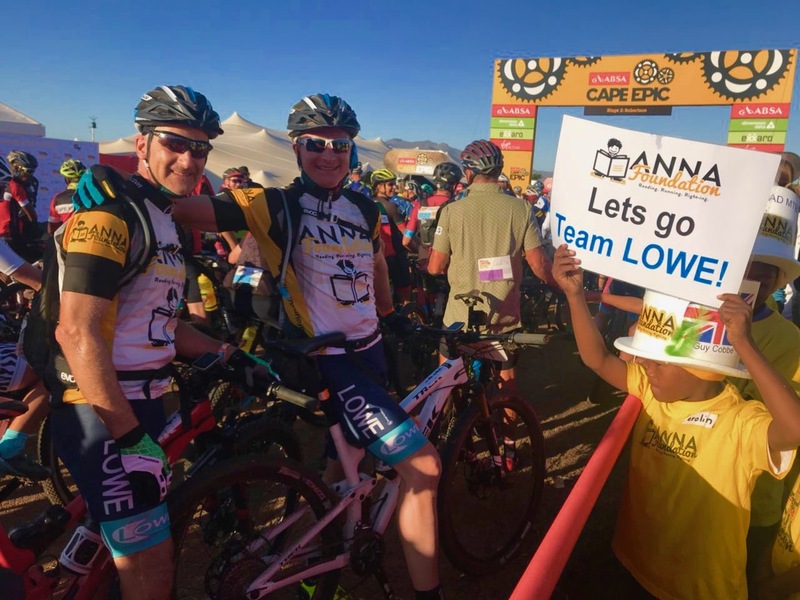 Almost a year ago the marketing team at Lowe Electrical started working with the Anna Foundation in preparation for the notorious Absa Cape Epic Mountain Bike Challenge 2018. 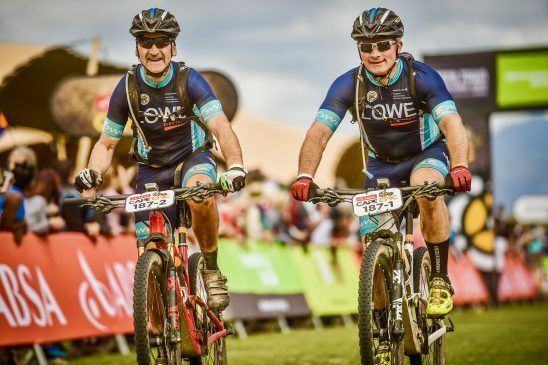 Managing Director Jon and his cycling partner Guy Cobbe started their journey as ‘Team Lowe’ last June, putting in the extra hours on their bikes at home (and abroad) ready for the start of the training schedule that awaited them in September. For the next six months, through the coldest, wettest winter, many hours were committed to training. Christmas celebrations were brief amongst the strict schedule (!) and from 1st January the final countdown began. 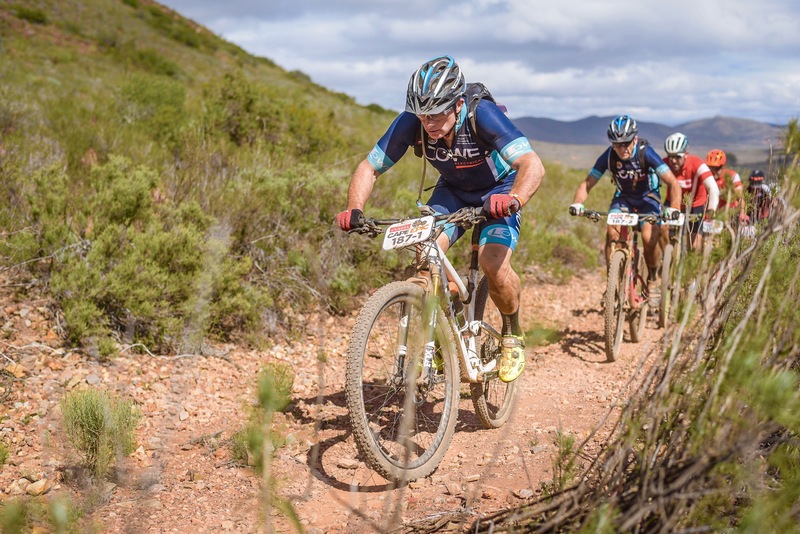 Partaking in events across the Country, with early starts and late finishes, Jon and Guy continued to put in the miles. 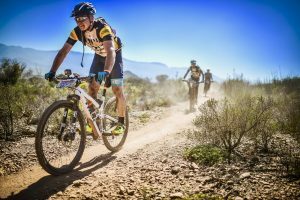 They overcame knee injuries, muscle injuries and even had to replace a mountain bike after a break-in. 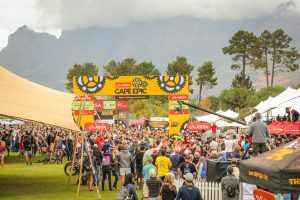 Arriving in Cape Town on 16th March, full of anxiety and anticipation of the unknown, they joined professional cyclists and other courageous individuals from around the globe to take on the most prestigious Mountain Biking Event in the world. 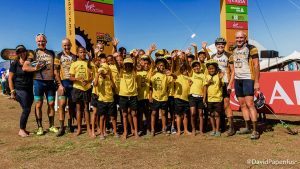 This epic challenge took Team Lowe through the harshest of conditions for eight days, and demanded sincere grit and sheer determination despite physical pain, sickness and exhaustion. They put every minute of their honed fitness into practice just hoping they had done enough preparation for the 653km and 13530m climbing ahead of them. 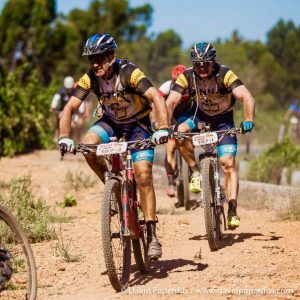 Conquering all adversities, on Sunday 25th March all their hard work and commitment finally paid off with the incredible achievement of completing the Cape Epic. Team Lowe have raised an incredible £7015.00 (to date) for the Anna Foundation which will fund the education of a dozen children for a whole year. 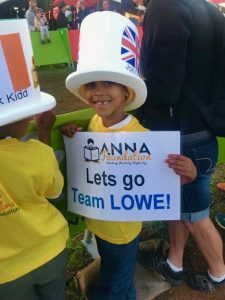 Jon and Guy were able to spend some time with some of the children from the Anna Foundation, whose support along the route and on the finish line was immensely appreciated. 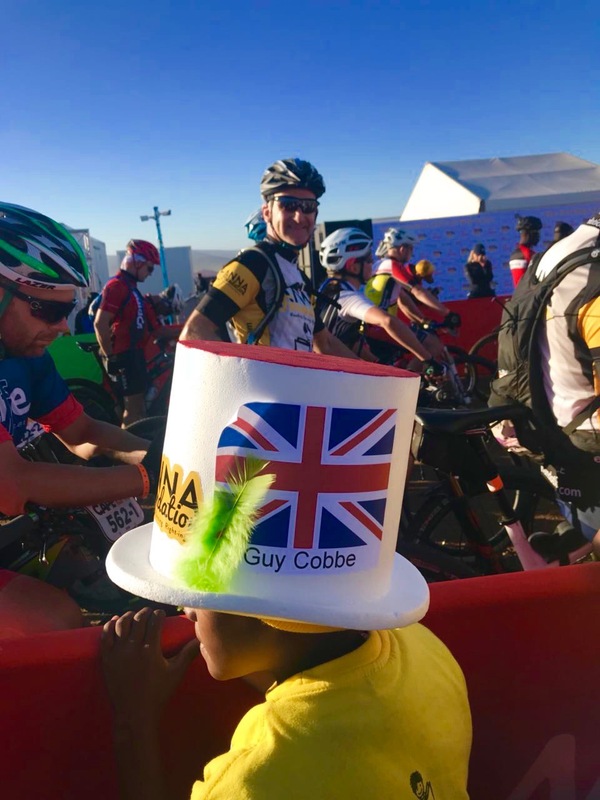 Jon and Guy would like to thank everyone who has donated, and for all the support and encouragement they have received over the last year. 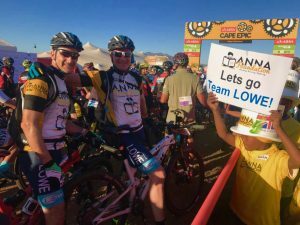 Lowe Electrical are delighted to have sponsored Team Lowe on this tremendous challenge. After three terms of activity in the classrooms, sports halls and corridors; School is ‘nearly’ out for summer across Leicestershire and the East Midlands. Lowe Electrical Contractors, based in the centre of Leicester, can offer you a wide range of services and on-going maintenance for your School, College, Academy or University. Our experience in the educational sector includes local authority, academy and private schools, along with further and higher education institutions such as De Montfort University, Regent College and Loughborough University. 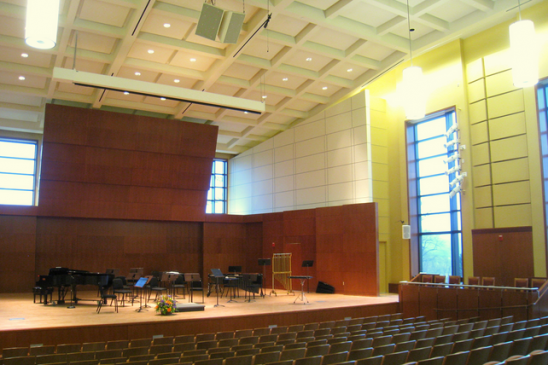 If you would like to discuss any electrical or facility management requirements, we would be pleased to hear from you. What better way to spend four days in September than cycling through the Alps raising money for a great Leicestershire and Rutland Charity. 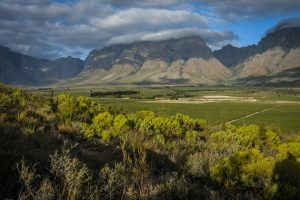 This is the 2015 challenge for ‘Team Lowe’ who will be cycling 360 miles, ascending and descending 16,866ft all in aid of the Hope Against Cancer Foundation. Jamie, Keith and Jon are training hard to take part in the momentous event along with 71 other cyclists. 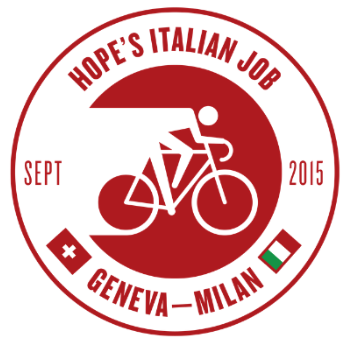 The route will take them from the beautiful shores of Lake Geneva to the fashion capital of Italy, Milan. The Hope Foundation was launched in 2002 to raise funds for research into the causes and treatment of cancer in Leicestershire and Rutland. Through the enormous generosity of the people of Leicestershire, Rutland and beyond, Hope Against cancer has to date raised over £3 million which has funded 31 research projects into many cancers including bladder, ovarian, prostate, melanoma, liver, bowel, leukaemia, colorectal and breast cancer together with nursing fellowships relating to patient care. 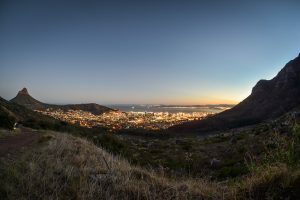 For further information on the challenge please visit and to learn more about the Hope Foundation Charity please visit here.